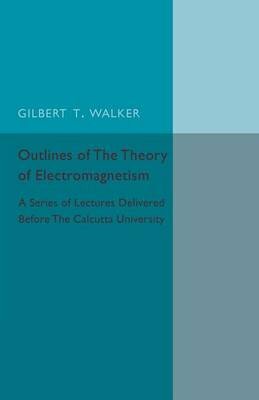 Originally published in 1910, this book contains a series of lectures on the subject of electromagnetism, delivered by British physicist and statistician Gilbert T. Walker, before the University of Calcutta. Walker writes, 'The University of Calcutta did me the honour early in 1908 to appoint me Reader, and asked me to deliver a series of lectures upon some subject, preferably electrical, which would be of use to the lecturers in the outlying colleges as well as to the more advanced students in Calcutta'. Chapters are detailed and broad in scope; chapter titles include, 'Vector analysis', 'Applications of vectorial methods to magnetostatics' and 'The electron theory of Lorentz applied to stationary media'. These informative lectures capture the very vibrancy and dynamism of the subject and explain the mathematics necessary for a full understanding. This book will be of value to anyone with an interest in electromagnetism, physics and the history of education.